Remember when Kelly Ripa was totally fine with James Franco's Instagram scandal? 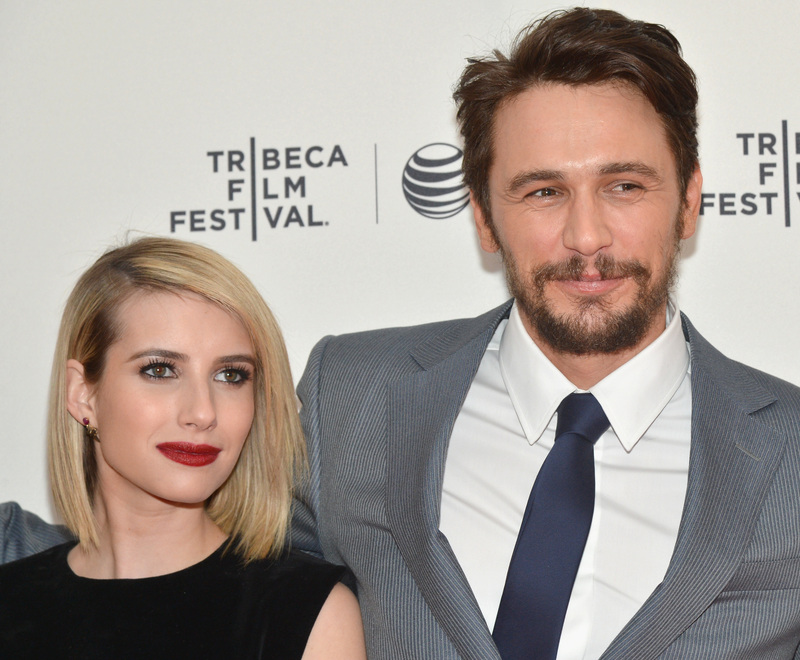 Well now Emma Roberts is joining the list of people who aren't that bothered by James Franco hitting on a 17 year old girl via social media. "It's irrelevant," Roberts said when asked about the situation. Although she admitted she went out of her way to not read about it, so it's possible she'd change her tune if she got the full story. But for now she's in Franco's corner. And so is Palo Alto director Gia Coppola who echoed Roberts sentiments and then added that Franco is"such a great, giving guy." To be honest the only thing he's been giving me lately is the creeps. Especially with recent clips of his and Roberts' May-December romance in Palo Alto hitting the web. Franco's teacher character is tutoring student Roberts and lusting after her something fierce. It's way too creepy to be considered hot. But Roberts wasn't phased by Franco salivating over her. "It's not as awkward as everyone thinks because there's like 30 people standing behind the camera just waiting to go to lunch," she told Huffington Post Live. "And I think also because I wasn't really 15 or 16, I think that kind of lightened the mood with shooting those scenes. I was 21, so it wasn't like anything bad was actually happening." Maybe there wasn't anything bad happening on set, but offscreen Franco seems to have a different set of values. I get that Roberts would want to stick up for him, but I'm not so sure the conversation is irrelevant. After all, calling attention to the issue got Franco to put an 18-over cap on his Instagram and forced him to own up to what he did and give a public apology. Will all the blowback he got keep him from doing it again? Possibly. So talking about it isn't irrelevant at all.